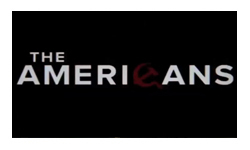 The pilot of The Americans still rates as one of my favourite of the year (not a tough competition to win this year, but still a prize worth winning) and I’m thrilled that the rest of the season held up to the early promise. I think it’s easy to have the wrong expectations of what The Americans is and ending up thinking you’re watching something that isn’t very good. If you go into The Americans thinking you’re going to get a sort of period version of Homeland season 1, you’re going to think it’s a bit daft. But I don’t think that’s what the producers were aiming for. The tone is a lot lighter, revelling in the inherent fun and silliness of putting on disguises, talking in codes and playing with spy toys. I actually think The Americans is closer to Homeland season 2, except that it’s being deliberate, while Homeland just seemed to get a bit drunk and confused. If you approach The Americans looking for entertaining fun, then you’ll be pleasantly surprised by the additional depth that the series has. The flashes of darkness and violence are all the more powerful for being surrounded by lightness. The consequences of people’s actions are complex, serious and intriguing. Everyone has unspoken rules about what it is and isn’t ok to lie about, how far people can be trusted and what priorities trump personal safety, family responsibilities and happiness. I was concerned that the series would turn into a bit of a soap opera with Phillip and Elizabeth’s relationship continually bouncing back and forth. However the writers showed remarkable restraint, taking each step very slowly and taking time to fully explore each change before taking another step. Everything shifts and grows organically, relationships evolve and betrayals are never forgotten. The complexity is lovely, Phillip and Elizabeth are pitted against the FBI, yet trust the Agent Beeman to watch their kids for them. It’s all beautifully constructed and played out. It was a joy to tune in to this series each week, a real pleasure. All the situations and characters make sense, the details are all tidy and elegant so that when there’s the occasional daft twist, it’s forgiveable because it’s the exception not the rule. Every episode moves the story and relationships on, but nothing is rushed and there’s plenty of time for missions and intrigue. I can’t wait to see where season two takes us.